Appel is Forever describes in a child's words the atrocities that should never be seen by anyone. Born in Amsterdam in 1935, Suzanne Mehler Whiteley saw the ravages of war through a child's eyes. 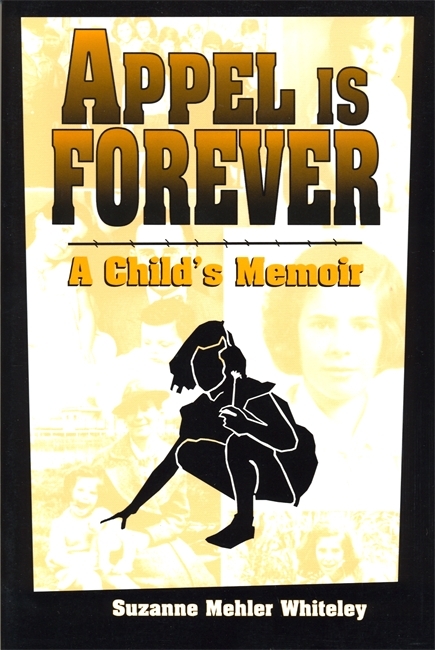 Her memoir, written in the voice of a young girl, describes the years before the invasion of Holland, her experiences during the German occupation, her time spent in the Bergen-Belsen concentration camp, and her childhood afterward in Europe and then the United States. Appel Is Forever describes in a child's words atrocities that should never be seen by anyone. Through young Suzanne's introspection, readers are invited to see beyond the history of events to their deeper meaning. We come to see how the miracle of having survived opens a child up to the potential for playfulness and even happiness, while a young girl's observations of coming to her new country remind us of both the promises and hardships of the American dream. Suzanne Mehler Whiteley, a Holocaust survivor, is now a trained therapist in private practice in Evanston, Illinois. Appel is Forever describes in a child's words the atrocities that should never be seen by anyone. Through young Suzanne's introspection, readers are invited to see beyond the history of events to their deeper meaning. We come to see how the miracle of having survived opens a child up to the potential for playfulness and even happiness, while a young girl's observations of coming to her new country touch upon the promises and hardships of the American dream.